Paper HeARTIST: Tag, you're it! The challenge at Heart 2 Heart Challenges this week is to make a tag or use a tag(s), in your project. There are so many ways to use tags. Of course, you can create a stand-alone tag, or you can put tags on a scrapbook page, or make a mini-album out of tags, or put tags on a card like I did. Really, the number of ways you can use tags is only limited by your imagination. Can you believe that these papers come from two completely different paper packs?! Buzz and Bumble and Surf's Up. I was pleasantly surprised how well they worked together. I really wanted to try and mix some papers from different packs after being inspired by the video featuring CTMH's very own Kristine Widtfeldt, called Paper Panic Contest. You can check it out here. What a cool way to mix it up! 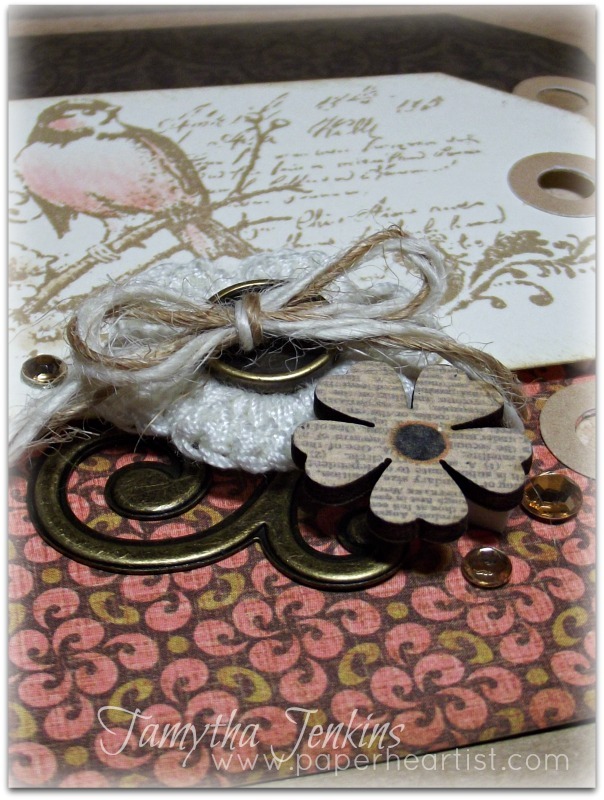 Your papers and stamping are beautiful together, but I especially love the embellishment cluster. Tamytha, This card is just absolutely amazing. I really love how you layered the different tags. I'm having fun mixing the paper packs, too. And...your embellishment cluster blew me away. Great job. 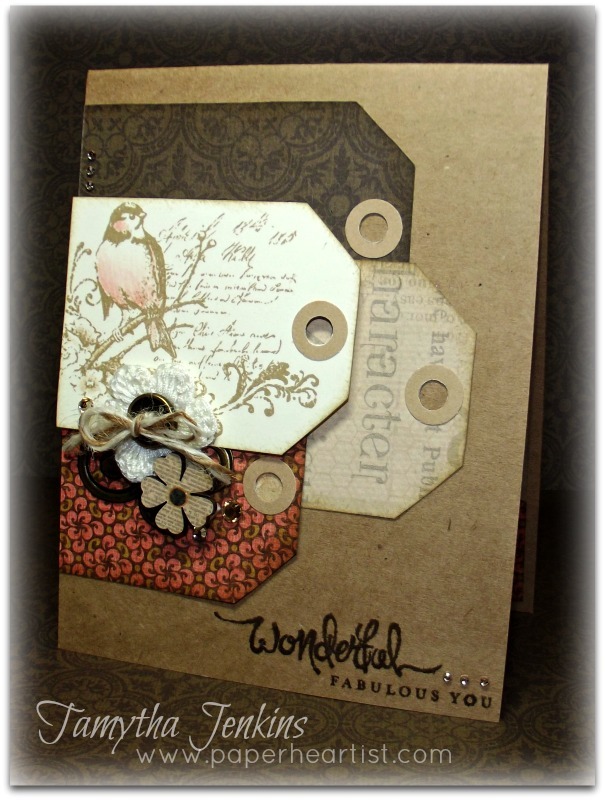 Love your card and the mix of papers is fabulous! Totally love your cluster of embellies! What an amazing paper combo--who would have thunk? I agree with Jayma--LOVE the circles around the tag holes!!! Did you use marker or chalk for the coloring on the bird? Looks fantastic! Thanks Kigz! I used sorbet ink (on the inside of the lid) and the blending pen to color the bird. I really love this card! You have so many little details that jump out at you the longer you look (gaze fondly, oogle, drool over) at it. I love the little sparkles you've added and your cluster is wonderful! I always struggle with that so I appreciate a good cluster! :) And I love the mix of papers you've chosen, really sets the tone of the card.